We dislike hidden charges as much as you. That’s why we’re transparent about our fees. Below is a full list of the fees you may encounter when renting a property through Mountgrange Heritage. We charge a fee for the administration of each tenancy. This includes our fee for preparation of the Tenancy Agreement £300 (inc VAT), the referencing £90 (inc VAT) per applicant. Whilst we charge a fee of £300 (inc VAT) for the preparation of their agreement some of our landlords will charge different amounts. We will advise you of these potential costs at the time of negotiating the offer you make. As stated above we include referencing in our one-off administration fee. However, some of our landlords may charge fees separately for referencing. We will also need to cover our costs should you decide to withdraw your offer or fail referencing once this has begun. We will advise you of these potential costs at the time of negotiating the offer you make. You will be charged £90 (inc VAT) per guarantor (if required); this covers credit referencing and preparing a deed of guarantee as part of the tenancy agreement. We will take a deposit, usually equivalent to six weeks’ rent, which will be held in an account in your name for the duration of the tenancy. A larger deposit may be required by your landlord– for example if you keep a pet. Stamp Duty Land Tax (SDLT) is payable on tenancy where the rent is in excess of £125 k per annum. We charge £120 (inc VAT) for amendments made during your tenancy, this includes contract negotiation, amending terms, tenants and updating your tenancy agreement. We charge £120 (inc VAT) this includes contract negotiation, amending and updating terms and arranging a further tenancy and agreement. We charge £60 (inc VAT) for visits to the property, including attendance as key holders, as requested. This fee is charged on a half hourly basis. 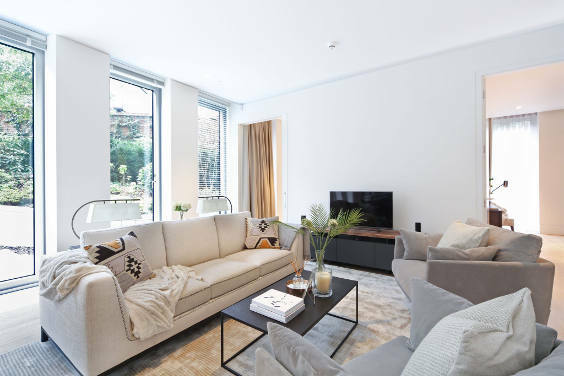 Under the terms of your tenancy agreement you will be responsible for professional cleaning of all furniture, fixtures and fittings at the expiry of your tenancy. If you would like us to arrange the clean for you we charge £60 (inc VAT) for this service, this is in addition to the cost of the clean itself which varies and is dependent on number of beds and size of property. You will be liable for the cost of the checking of the inventory at the start of the tenancy. This cost will depend on the size of the property and we can obtain an estimate for this if required. A charge of £30 (inc VAT) applies when you ask us to provide information to a future landlord or referencing agency on your performance as a tenant.